In Gilgit Baltistan, trials on grounds of terrorism and treason, as well as premeditated deferrals of legal proceedings concerning numerous human rights defenders, in most cases based on questionable facts and forged evidence, are gradually escalating. Nationalist leaders, rights defenders are being implicated in fake and terrorism cases in Gilgit-Baltistan. 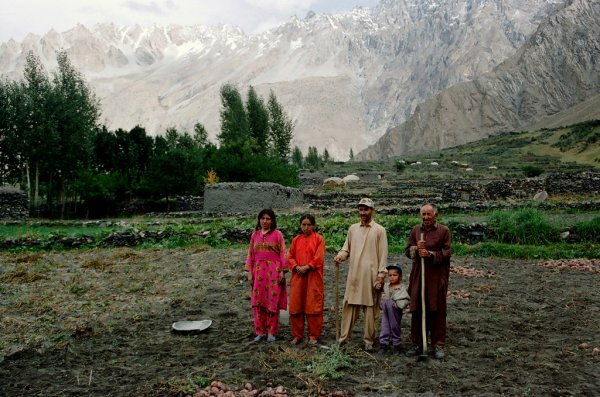 For the last about three decades, hundreds of political leaders and rights defenders have faced state brutalities besides fabricated cases in the disputed territory of Gilgit-Baltistan. Ironically, with the passage of time there seems no improvement in the situation and the rights abuses go on unabated in the region. There are a number of political activists who are still behind bars simply for raising voice for the rights of the two million people of Gilgit-Baltistan. Besides, scores others are entangled in the never-ending and nerve-breaking process of facing court cases. Syed Haider Shah Rizvi, one of the most prominent nationalist leaders from Skardu, passed away while defending himself in one such concocted case. Manzoor Parwana, the chief of the Gilgit-Baltistan United Movement, was booked in a treason case on July 28, 2011, and after the passage of about four years this case is still progressing at a snail’s pace and is its initial stage. The state is deliberately trying to delay the case even though Manzoor Parwana has been very regular to pursue the matter and attends each and every hearing regularly. Mr Parwana is charged with putting the security of the country at a stake by demanding the reopening of the old Skardu-Kargil road. Progressive youth leader Baba Jan has been awarded life imprisonment after being booked under the anti-terrorism act for raising voice and leading rallies for the rights of the people displaced by the Attabad Lake. He is at the moment languishing in the district jail of Kahguch in Ghizer. A leader of the Ghizer Youth Congress, Tahir Ali, has also been booked in another treason case for struggling to ensure the basic rights of the people of Gilgit-Baltistan. Another treason case is under adjudication in the chief court of Gilgit-Baltistan against Karakorum National Movement chief Javed Hussain and his colleagues. They are charged with presenting a memorandum to the UN observers in the Gilgit city about the issues facing the people of Gilgit-Baltistan. Very recently, scores of political activists and nationalist leaders including Col retired Nadir Khan, Safdar Ali, Iftikhar Hussain, Waseem and others were rounded up by the police and put in jail for trying to hand over a memorandum to the UN observers in the city regarding the public reservations over the China Pakistan Economic Corridor. They have been languishing in the jail where it is also alleged that the police tortured them. It is very disturbing to note that all these political activists and rights defenders were booked under the anti-terrorism act and treated as terror suspects for raising voice for the rights of the people of the region.